At work, school, and out on the streets you’ll see plenty of people with fitness trackers attached to their wrists, mulling over plans to hit their daily 10,000 steps. The wearable’s popularity is mostly thanks to Fitbit. In late 2016, the company acquired the popular smartwatch manufacturer, Pebble. They released two smartwatches, the Ionic and the Versa, in quick succession. Now, Fitbit is back with the Charge 3, which promises to bring smartwatch features to their most popular fitness tracker. Read on to find out what we thought of the Fitbit Charge 3, and at the end of this review, we’re giving one away to one lucky reader! The Charge 3 has also undergone some subtle design changes since the Charge 2 in 2016. The monochrome OLED display remains physically the same size, but benefits from an increase in screen real estate. The display is backlit and can adjust to lighting conditions, so no more squinting to see the screen in direct sunlight. The new inductive button is a first for a fitness tracker, and combined with the streamlined rear-side are part of a more significant effort to waterproof the device. This makes the Charge 3 the first Fitbit fitness tracker to support full immersion in water up to 50 meters so you can wear it in both the pool and the shower. In the box, you’ll find both a small and large strap made of a flexible elastomer. These types of watch strap are relatively standard for fitness trackers. They are interchangeable though, and Fitbit sells a variety of different colors and styles to suit your preferences. However, if you do a bit of searching around online, you’ll likely find some similar straps by third parties for a fraction of the cost. On the underside of the Charge 3, you’ll find the optical heart rate sensor and charging pins. Like most smartwatches and activity trackers, the Charge 3 comes with a proprietary charger. There is no charging dock included, unlike the Versa, but the cable and attachment do just fine. Frustratingly, the Charge 3 has a different charger from its predecessors, although this is likely to accommodate the new waterproof design. Continuous heart rate measurement and automatic sleep tracking continue to augment the all-important pedometer. The Automatic Exercise Recognition feature means there’s no time-consuming set up before starting your workout, and you can now set goals directly on the device. Fitbit’s Ionic and Versa smartwatches Fitbit Versa Review: Fitbit's Best Wearable Yet? Fitbit Versa Review: Fitbit's Best Wearable Yet? Read More included SpO2 sensors, but the Charge 3 is the first tracker to feature the sensor. The sensor should mean that the tracker can estimate your blood oxygen levels. However, Fitbit hasn’t confirmed when they’ll enable this feature. In the future though, it could be used to determine if you suffer from sleep apnea or other health issues. Previous Fitbit trackers have teased notification support, but it has never been a smooth experience. The Charge 3 imports some of the Versa’s notification handling so that you can now view call, calendar, and app notifications all from your wrist. 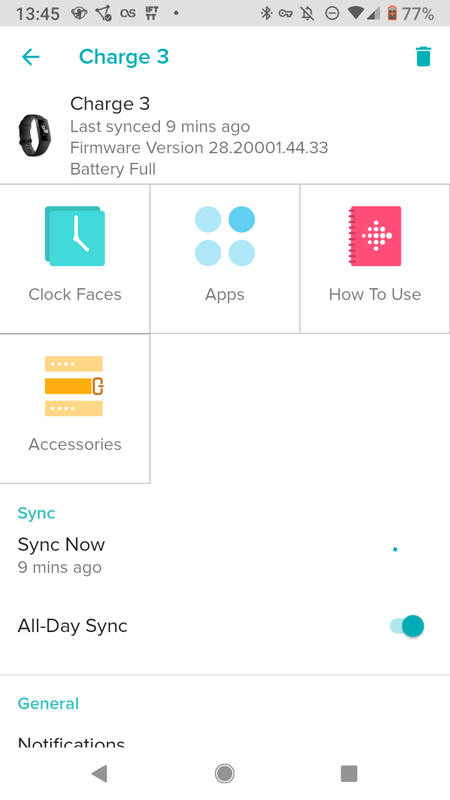 Android users will even be able to use custom quick replies once Fitbit enables the feature. Fitbit Pay, the company’s contactless payment system, is available too, but only on the Charge 3 Special Edition, which will set you back an additional $20. One of the most notable features is that the Charge 3 is Fitbit’s first waterproof activity tracker. Not only will this stop you having to pocket your device every time it starts raining, but it allows for a newly trackable activity: swimming. The Charge 3 also comes equipped with a Timers app, where you can either run a stopwatch or countdown timer. This may seem trivial, but its the kind of thing most people do on their phone while exercising. The deceptively simple feature is a welcome addition, especially for those wishing to leave their phones at home while out exercising. The Charge 3 comes pre-loaded with “apps”, although you probably wouldn’t call them that. These apps are some of the standard features of a Fitbit like Exercise tracking and Alarms. The newly-named app/features are another import from the company’s smartwatches. 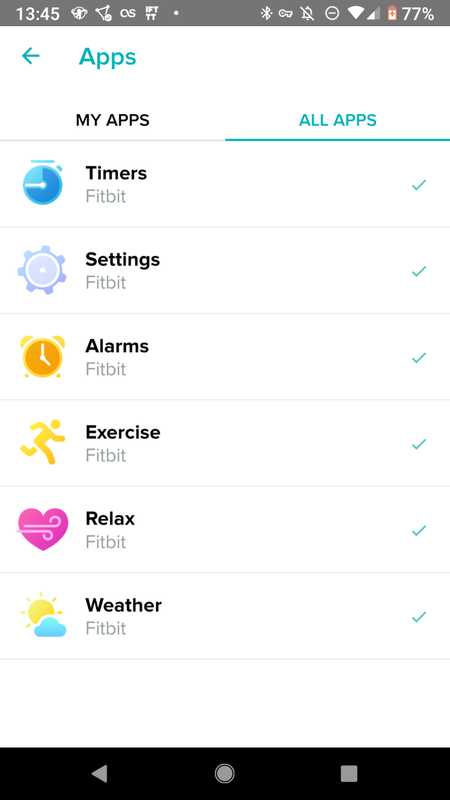 However, when you open the Fitbit smartphone app to browse the apps to install, you find that every available app is already on the device. Whether Fitbit will add more compatible apps to the Charge 3 in the future remains to be seen. There is a weather app installed, and unlike the Ionic and Versa before, this worked during testing. 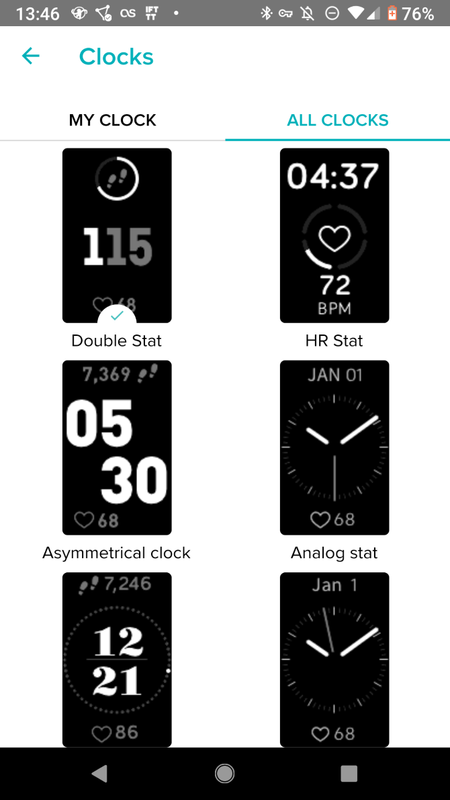 As with previous Fitbit iterations, the Relax app makes an appearance here too. A simple guided breathing exercise, it is a small but effective way to bring some calm into your day. Once the display is on, swipe down to see notifications, up to see daily stats, and left to scroll through your installed apps. The daily stats area has undergone a redesign too. On previous trackers, your step count was the primary focus. The Charge 3 takes cues from the Apple Watch and has introduced a step goal circle that fills in as you go through the day. The actual number is only a swipe away though in the daily stats, which now also includes female health tracking if you’ve previously set that up. The Charge 3 sports a slightly different, more touchscreen-focused design. There is less reliance on buttons and more swiping to navigate around. If you press and hold the inductive touch button, it’ll bring up Quick Settings which allows you to toggle notifications and screen wake on and off. Those of you holding out hope for inbuilt GPS will be disappointed as the only GPS tracking available is through your connected phone. If in-built GPS is an essential feature for you, then it may be worth considering the Fitbit Ionic smartwatch Fitbit Ionic Review: Great Fitness Tracker, Rubbish Smartwatch Fitbit Ionic Review: Great Fitness Tracker, Rubbish Smartwatch Fitbit's third smartwatch struggles to find a reason to exist beyond fitness tracking and excellent battery life. It offers a tantalising glimpse into the future of Fitbit but, for now, the Ionic feels half baked. Read More instead. Fitbit estimates that the Charge 3 will last seven days on a single charge. During testing, the device managed eight. One of the downsides for early adopters is that you run the risk of uncovering a bug or hardware flaw. Such was the case with the Charge 3. Our device refused to turn on when taken off the charger, rendering it useless. This was only two days after launch, but there were already others with the same issue. There were so many Fitbit forum threads about this issue that the moderators grouped them all into one mega thread. Despite these assurances, after ten days they hadn’t got back in touch, so I had to email them to prompt a response. In the end, their solution was to replace the device. The replacement worked perfectly. Having used many Fitbit devices in the past, it was disappointing that the Charge 3 had a hardware issue. 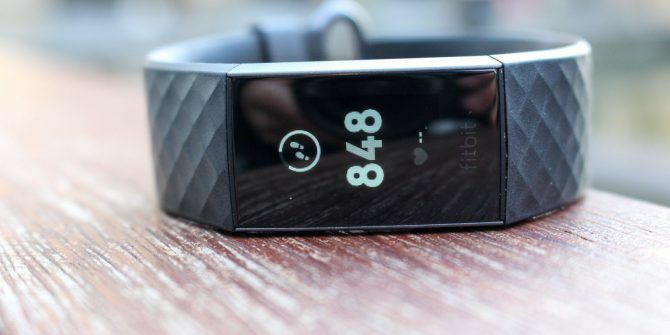 However, it was Fitbit’s inadequate response to multiple reports of broken devices that seems so disheartening. Is The Charge 3 a Worthwhile Upgrade? The Charge 3 is an iterative update of earlier devices, but one which brings some of the most useful smartwatch features in tow. While most of the updates made between the Charge 2 and Charge 3 seem relatively modest, the waterproofing alone may make it worth the money for some. The feature-packed device is priced at $149.95 and undercuts the Versa by $60, making it one of the best value Fitbit devices available today. But if you’re not particularly tied to Fitbit, and just want something basic, you can’t go wrong with the $30 MiBand Mi Band 3: Don't Buy a Fitbit Until You've Seen This Mi Band 3: Don't Buy a Fitbit Until You've Seen This The finest budget fitness tracker around. Long battery life, waterproof, and phone notifications make this a bargain for those with basic fitness tracking needs. Read More . Explore more about: Exercise, Fitbit, Fitness, MakeUseOf Giveaway. Does she currently use a wearable to monitor workouts? Make sure to enter the compeition for a chance to win. Seemed great, but not compatible with my Pixel 3 or windows 10 store app just would not stay synced or update the firmware with either companion app. I had to send it back for a refund after spending hours with tech support. It's a shame so many people seem to have had faulty units. Once I got one that worked, it was all fine and I really enjoyed the experience. Did you opt for a different tracker?